As a passionate local property expert and an advocate of Stoke-on-Trent's buy-to-let potential, our very own leader and founder, Bill Rockett, was recently asked to share his pearls of wisdom with none other than the revered national news outlet, The Sunday Times. Shevaun Wood has chosen Stoke for her first buy-to-let. "Buy-to-let is dead, or is it? As taxes have risen and rules been tightened, we’ve seen headline after headline proclaiming that a fifth of property investors plan to sell, that two-thirds feel forced to raise rents, that the heady days of the “dinner-party landlords” are over. But now the most comprehensive analysis of the sector since it was shaken up two years ago shows what is really going on — and The End it is not. There is no mass exodus, but growth has plummeted, especially in the regions with the greatest shortages of private rented homes, according to the study, by Savills estate agency and the banking trade association UK Finance. “This limits rental supply where demand for housing is greatest,” says Lawrence Bowles, associate director for residential research at Savills. Over the past two years, new buy-to-let (BTL) lending has halved in London (down 54%) and the southeast (down 48%). But with average first-time buyer deposits of more than £90,000 and £50,000 respectively, these regions are still out of reach for most, Bowles adds. That runs the risk of putting further upward pressure on rents, he says, unless cash buyers and build-to-rent schemes — backed by big investors such as pension funds — plug the gap. Not far behind, with new BTL lending falling about 40%, are the southwest and the east. In Norwich, for example, cuts in tax relief on mortgage interest — phased in from last April — led Donna Franklin, 34, an account manager, to sell one of her two BTLs last month. Her annual profit on the two-bedroom house, bought to fund her retirement, used to be about £500. But the way taxable profit is calculated under the new rules pushed Franklin, who pays 20% tax on her £44,000-a-year income, into the 40% higher-rate tax bracket. By 2020, when the tax changes take full effect, Franklin says that would have left her £1,200 a year in the red — on top of the risk of big expenses such as a new boiler, and rising interest rates. The mortgage tax changes — stepped up last week to apply to half of landlords’ finance costs — were among a raft of measures hitting landlords over the past two years. Since April 2016, 3% extra stamp duty is due on buy-to-let purchases, and last year the Bank of England twice tightened BTL lending rules. Most banks now require rent to cover 145% of mortgage payments, up from 125%. Across Britain, there has been a 36% drop in the number of new BTL loans granted annually, from a post-crunch high of 118,000 in 2015 to 75,000 in 2017, say Savills and UK Finance. In 2016-17, private renting grew by 164,000 households — in line with the sector’s five-year average, according to the English Housing Survey. But build-to-rent, backed by the government in its new national planning policy, is not plugging the 101,000-home gap left by mortgaged buy-to-let: only 5,800 homes were completed last year, report Savills and the British Property Federation. Another 29,000 are under construction and 59,000 in planning. Eight of the 10 markets with the biggest falls in new BTL loans over the past two years are in London, topped by Lambeth (–69%) and Bromley (–68%). Outside the capital, Aberdeen (–68%) and Brighton and Hove (–60%) suffered most. Tax and regulation changes have shifted BTL investment away from the capital, says James Tatch, analytics manager at UK Finance. Because London prices are higher, investors are hit harder by stamp duty and mortgage tax changes, and rents are too low to meet the new lending ratios. Lending has been most resilient (though still down) in the north, where lower prices and higher rents mean yields are better. (To calculate gross yields — which excludes mortgage interest, lettings fees and costs such as repairs — divide the annual rent by the property price and turn the answer into a percentage.) Here are the five strongest markets of the past two years. Stoke-on-Trent is second, behind Liverpool, in the buy-to-let league. Eight large cities and four airports are within an hour; the M6 is being turned into a four-lane smart motorway; and Wedgwood has been rescued and sold to the Finnish brand Fiskars. Now the council is bidding for Stoke to become Channel 4’s answer to the BBC’s MediaCityUK in Salford, plus an offsite construction hub for Heathrow’s expansion. Invest in three- or four-bedroom family houses near good schools — not new-build flats or student developments, which have mushroomed, Rockett says. He recommends May Bank and Wolstanton, or Hartshill and Penkhull. A three-bedroom semi would cost from £130,000 and let for £700-£900 a month." 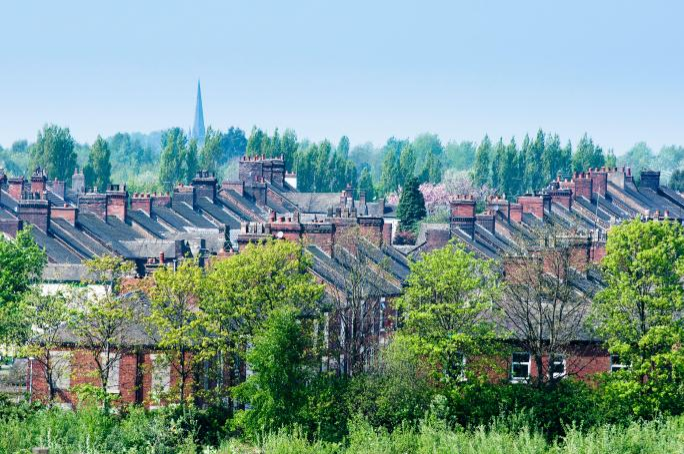 From this insight alone, it's plain to see the unrivalled property investment potential of Stoke-on-Trent, something that has been wonderfully articulated here by our very own, Bill Rockett. If you'd like to read the full article, written by Martina Lees, click here. Alternatively, for a downloadable PDF of the article, please get in touch with us via Facebook or email us at info@rocketthomerentals.com. Article content courtesy of the Sunday Times.